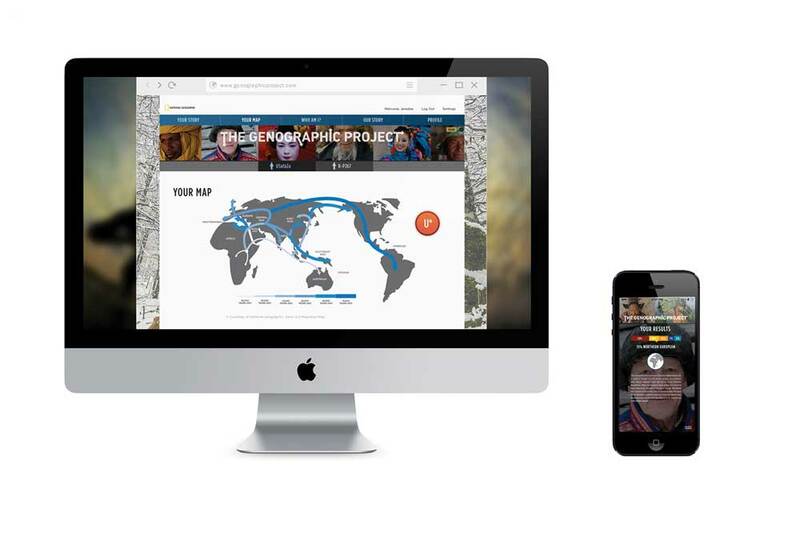 The Genographic Project is a global initiative and research project to map out how humans migrated across the Earth. It uses advanced DNA testing that identifies gene markers specific to human evolutionary groups. 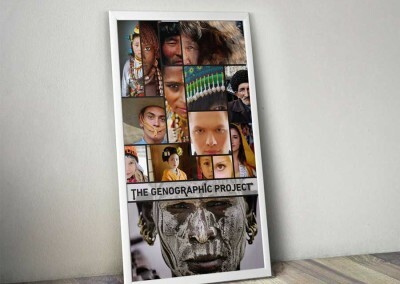 This non-profit cause has a cheek swab kit that participants can order, with the proceeds helping to preserve indigenous populations around the world. I have been in the project and was fascinated to find out that my deep ancestry traces back to Northern Europe, India and Iran. 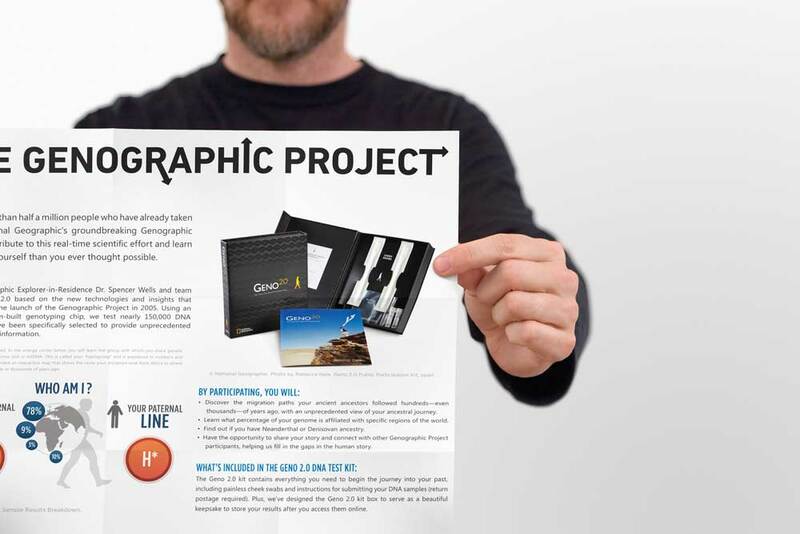 Mapping the human genome was no small feat, and National Geographic and its sponsors needed public participation for this project to be a success. The more people that donated their DNA results to the project, the easier it would be for scientists to decode how ethnic groups evolved and migrated across the earth. The branding had to be appealing to every age, race and demographic to be successful. I chose to feature people from around the world in the poster branding to appeal to all races. I used exaggerated cropping to create a dramatic effect and engage the viewer. People are more likely to participate if they see themselves in the poster. Some of the science behind the project is complex, so I created an infographic system to simplify this information. I drew from the existing brand language to allow the kit and promotional materials to have strong unity. 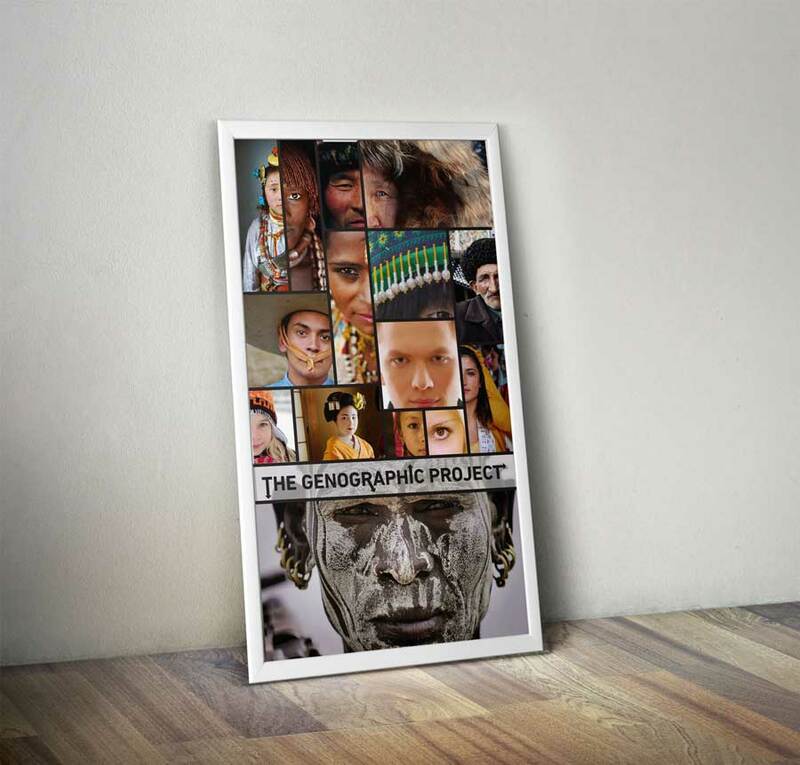 The project provides custom maps of ancestral locations based on DNA profiles. In order to bring this aspect into the logo, I modified DIN with arrowheads like those of a migration map. As an interactive component, a website and mobile app were developed. This allows participants to easily access the information and share the findings with friends and family.